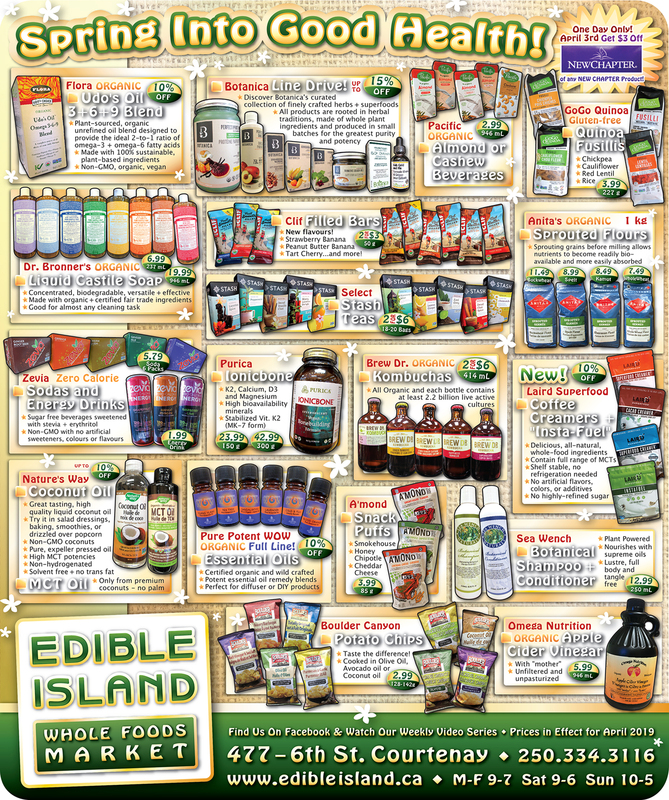 Edible Island is open 7 days a week and offers ample parking both in front and in our side parking lot. We are within easy walking distance to local banks, drug stores, library, laundromat, coffee shops, bookstores, as well as many unique downtown shops, restaurants and businesses. Home Delivery Edible Island Whole Foods Market is happy to put together orders that you might want delivered to your home, either locally (for a fee from $6) or beyond via Canada Post. 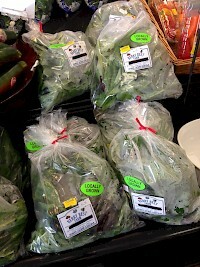 The Nettles are done, but thankfully Jane's got her garden growin' - the best greens in town now available, imported direct from Coleman Road! We stock WEST COAST SEEDS for Organic Growing! Check out our seed racks plus pick up your catalogue to access over 700 vegetable, herb, and flower varieties of Heirloom, open pollinated and untreated seeds. Seniors' Day is the first Wednesday of every month at Edible Island. Shop on that day and ask for your 10% Senior's discount as you go through the till. Please note that some items are NOT discountable. Buying Local supports the Comox Valley’s small and independent farmers and their families. Buying Local gives you peace of mind, knowing where your food is grown. Buying Local allows you to enjoy the freshest produce, products, meat and fish possible. Buying Local supports our local economy and helps build a stronger community. Buying Local helps keep farming viable, keeping farmland from being used for other purposes. Buying Local helps support and ensure viability for generations of local growers and producers. Buying Local helps you maintain your connection to the changing seasons.